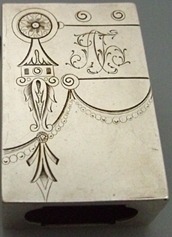 There were several important centers of gold and silver work in Russia but I will focus mainly on Moscow (Moscow work tended to consist of traditional Russian design) and St. Petersburg (St. Petersburg silversmiths developed a new style that had a western orientation yet retained Russian characteristics). 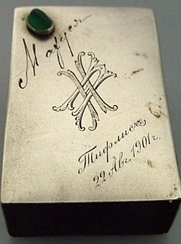 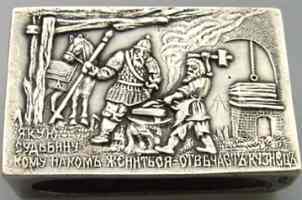 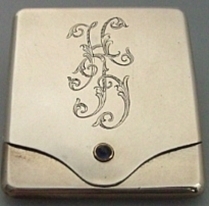 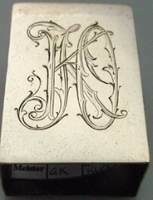 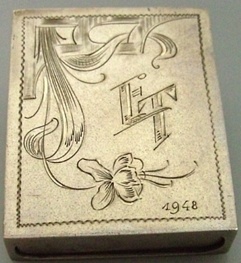 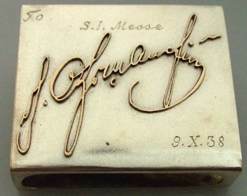 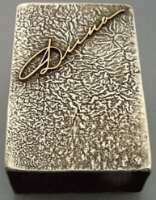 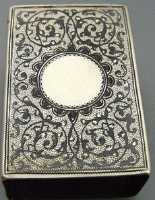 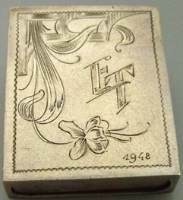 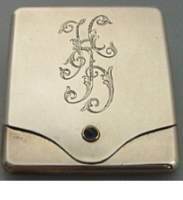 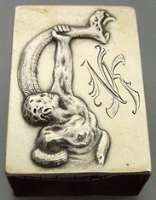 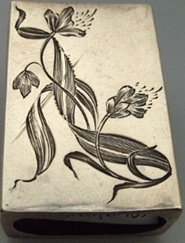 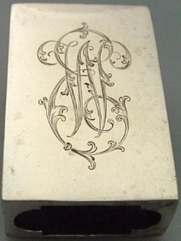 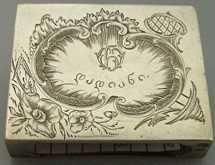 From about 1830 until 1917, Russian aristocrats favoured English design (especially in match safes) and Russian silver work showed evidence of that liking. The idea of combining European art with Russian technical genius produced great pieces. 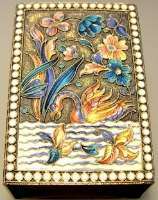 What was en vogue in European countries was adopted at once but altered in the Russian way: larger dimensions, a high level of workmanship, and more expensive than the European models they were inspired by. 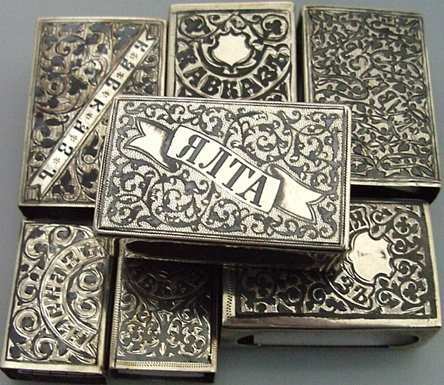 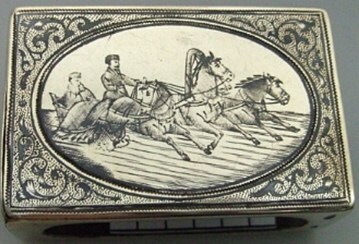 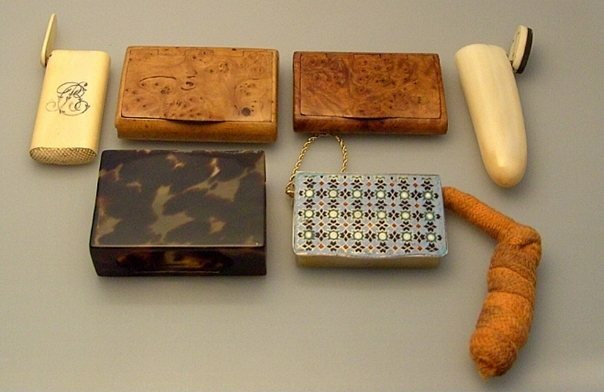 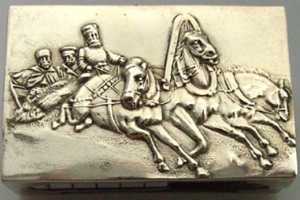 Russian matchbox holders exist in different materials and styles – but mainly in the "classic six": silver, silver/niello, silver niello (souvenirs from Caucasus), silver/enamel (cloisonné, champlevé, plique á jour), silver laquer and paper maché. 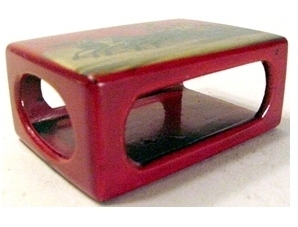 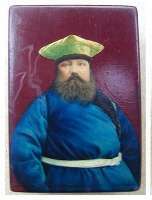 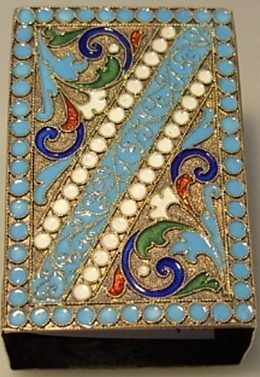 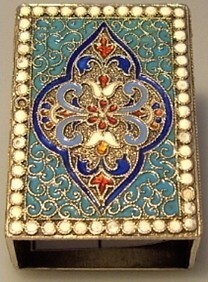 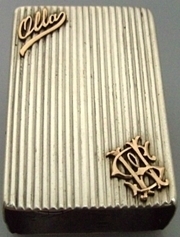 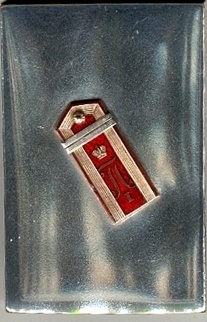 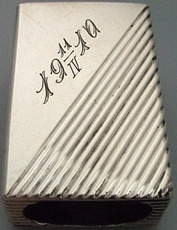 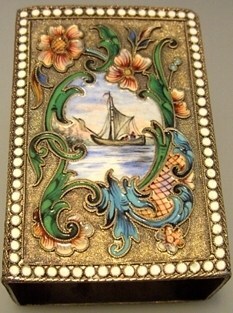 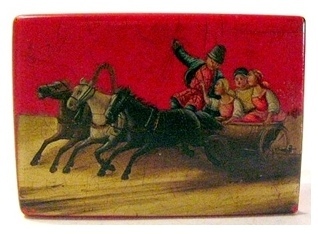 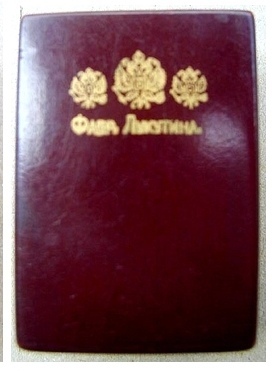 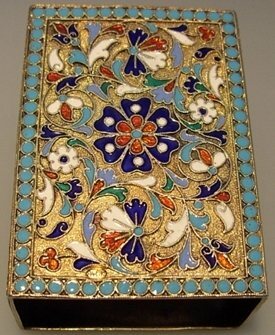 Many of the Russian matchbox holders used enamel as a decorative element. 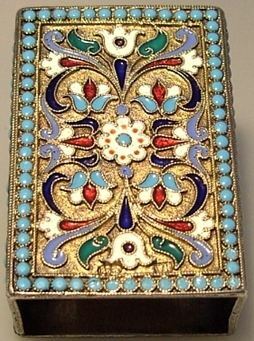 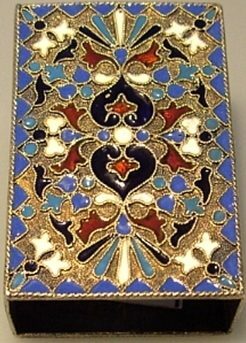 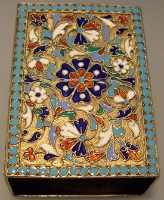 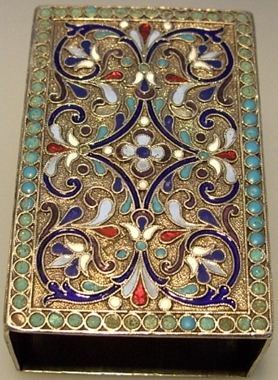 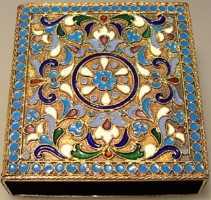 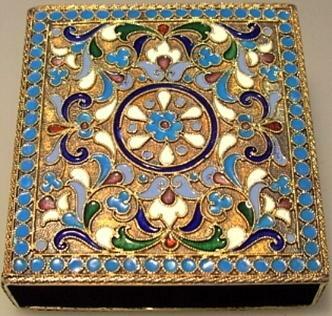 Thus from 1860 on the 17th century style of cloisonné enamel work was resumed with its tendencies toward an "oriental look". 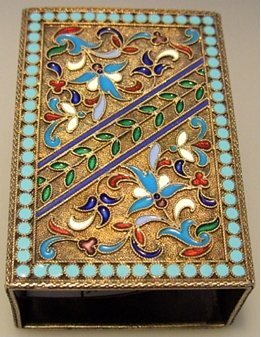 From a technical point of view, enamelled matchbox holders represent the most complicated craftsmanship of the Russian smiths. 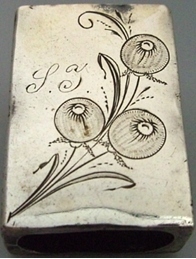 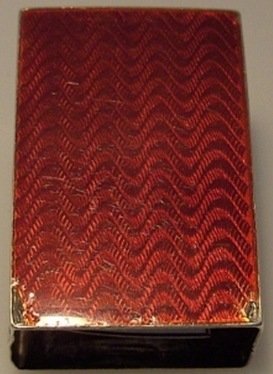 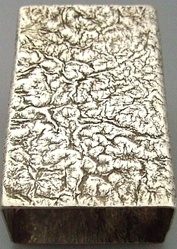 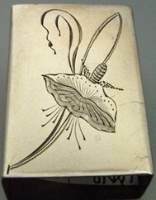 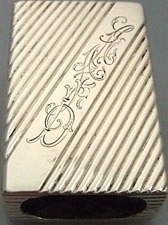 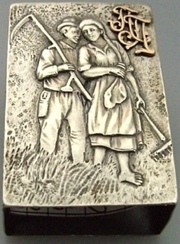 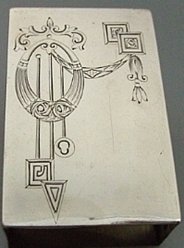 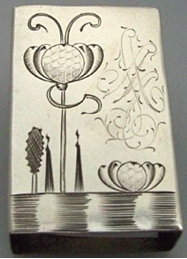 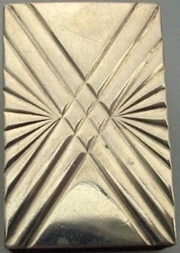 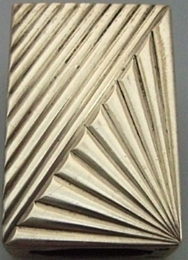 Many decorative techniques were combined with enamelling to produce an integrated whole; some of them are punching, chasing, engraving and guilloché technique. 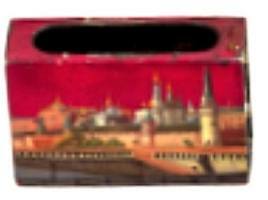 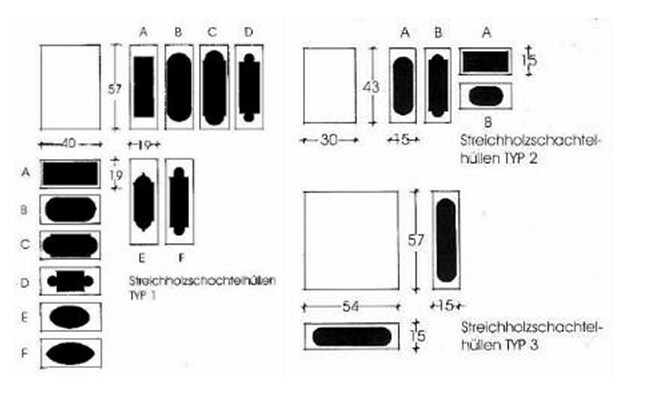 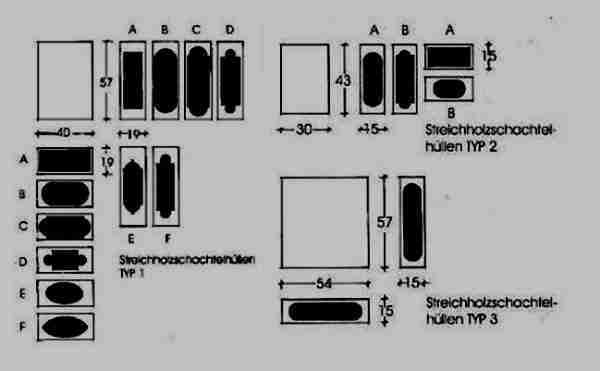 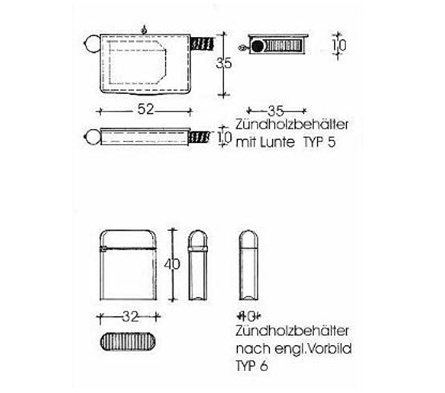 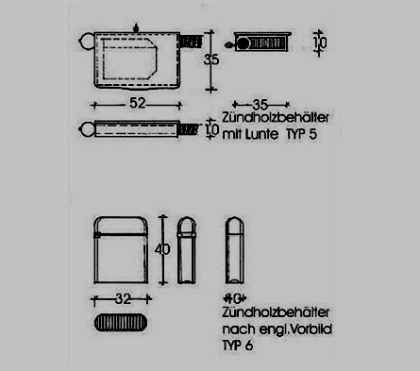 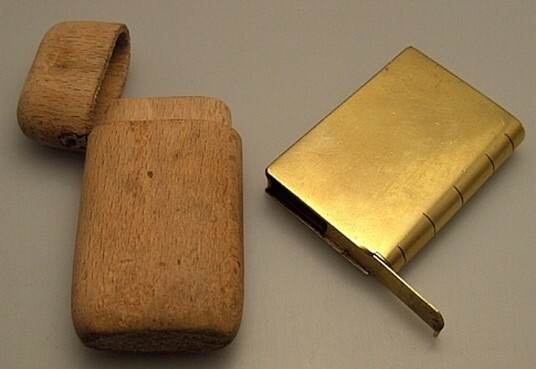 Russian matchbox holders: types and measures in mm.